April is Oral Health Month, a good time of year to take stock of your oral care routine and understand how proper oral health can have an impact on your overall well-being. This April, consider the preventive steps you can take to make sure your mouth and the rest of your body are healthy throughout the year. Good oral hygiene is important for many reasons. Sore or bleeding gums, missing teeth, infections, and oral pain can all affect your ability to eat and talk. These problems can have an influence on the type of food you eat and the enjoyment you get from eating. They can also make you feel self-conscious and limit your ability to socialize. 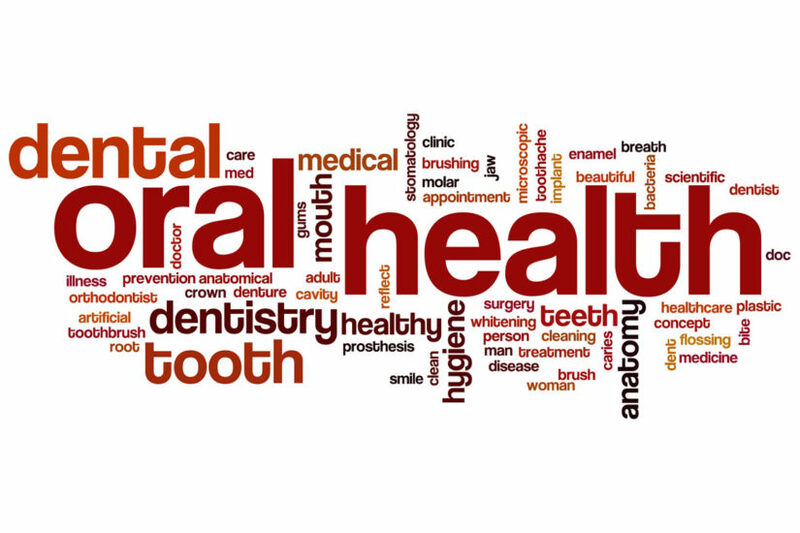 Plus, while we often think of our mouth as a separate part of our body, research reveals a connection between our oral health and certain chronic diseases, such as stroke, heart disease, and diabetes. Now that you understand why taking care of your smile is so important, you may be wondering what steps you can take to keep your mouth healthy. Fortunately, you can begin by following a proper oral care routine. Your first step is making healthy food choices. Limit foods that are high in sugar. The bacteria in your mouth love sugar, and over time, bacteria can destroy the enamel on your teeth and cause cavities to form. However, sugary foods aren’t the only items you want to limit. You also want to watch your consumption of acidic foods and beverages, such as orange juice, processed meats, and carbonated drinks. These foods and beverages can wear away the enamel that protects your teeth, a process known as tooth erosion. Not only can tooth erosion change the appearance of your teeth, but it can also lead to tooth sensitivity and increase the risk of cavities and infections. Along with watching what you eat, you also want to practise proper oral hygiene habits. These habits include keeping your mouth clean by brushing and flossing every day. When you’re brushing your teeth, use a soft-bristled toothbrush and fluoride toothpaste. Brush your teeth and your tongue twice a day for two minutes. Make sure you clean the outer, inner, and chewing surfaces of your teeth. Of course, brushing is only part of the routine. You also need to floss once a day to remove food particles and plaque where toothbrush bristles can’t reach, including between the teeth and under the gum line. Avoiding smoking is another important part of proper oral hygiene. Smoking not only negatively impacts your overall health, but it can also severely damage your teeth, gums, and mouth. The nicotine and tar in the tobacco can make your teeth yellow in a short amount of time and turn them brown after a few years. Smoking can also lead to gum disease, one of the top causes of tooth loss in adults. In addition to increasing the risk of developing throat and lung cancer, smoking is the main cause of oral cancer. While brushing and flossing your teeth at home are important for removing plaque, you can’t remove tartar on your own. You need to keep up with regular dental visits. Many people will need to see their dentists every six months for a routine cleaning and examination. During the cleaning, your dental professional will use special tools to remove tartar from your teeth. Your teeth will then be polished to help remove surface stains and flossed to make sure all areas are clean. During the exam, your dental professional will check for cavities, inspect your gums, and examine your tongue, throat, neck, face, and head for signs of swelling or redness. Oral cancer is a type of cancer that can occur anywhere in your mouth, including the tongue, lips, cheeks, gums, salivary glands, and tonsils. Unfortunately, oral cancer has few visible signs in its early stages. That’s why it’s important to have an oral cancer screening during your regular dental visits. During your dental visit, your dentist will look for abnormalities in your mouth that could be a sign of oral cancer, such as cuts, sores, bleeding gums, and swollen lymph nodes. A VELscope is another tool your dentist can use to look for oral cancer. The VELscope, a noninvasive tool that emits a blue light, allows your dentist to more easily see abnormalities with your teeth and gums. Good oral health includes eating the right foods, practising proper oral hygiene, avoiding smoking, and visiting your dentist every six months for a cleaning and oral cancer screening. 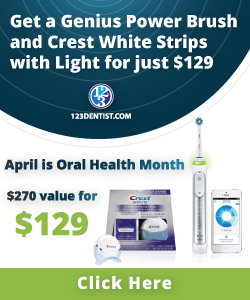 This April, you can take advantage of Oral Health Month by making sure you continue to follow the oral care routines outlined above.